Often one of the main stumbling blocks for people when it comes to dining out is cost. Purse strings have never been tighter and at times like these it is those little luxuries, such as dining out, that get cut first. This does not have to be the case. There are many cheap restaurants in Brighton and Hove that serve quality food for a very fair price. This means that everyone can enjoy delicious dining no matter what their budget. We have been scouring the city’s eateries to seek out the best cheap eats and sought the public’s help via the BRAVO awards Cheap Eats category. This has shown just how well you can dine for less, with the same diverse options as you will find at the other end of the pricing scale. 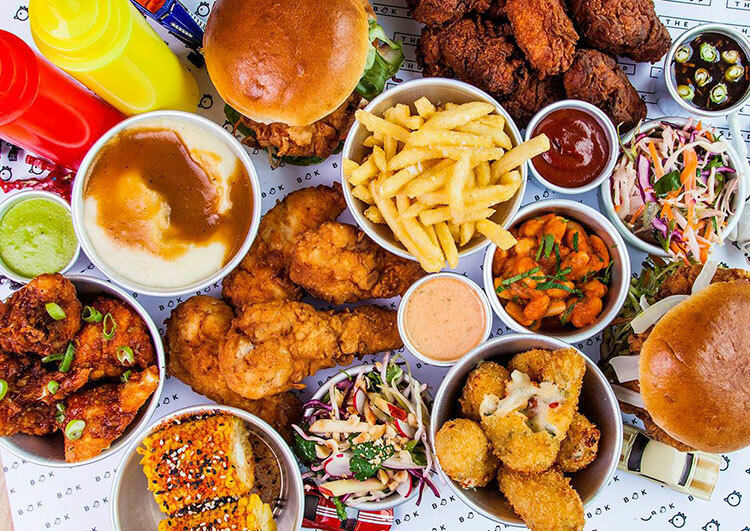 Whether you are seeking a quick bite to eat on a night out or a full dining experience for a special occasion, Brighton and Hove can provide some fantastic cheap eats to suit your budget. 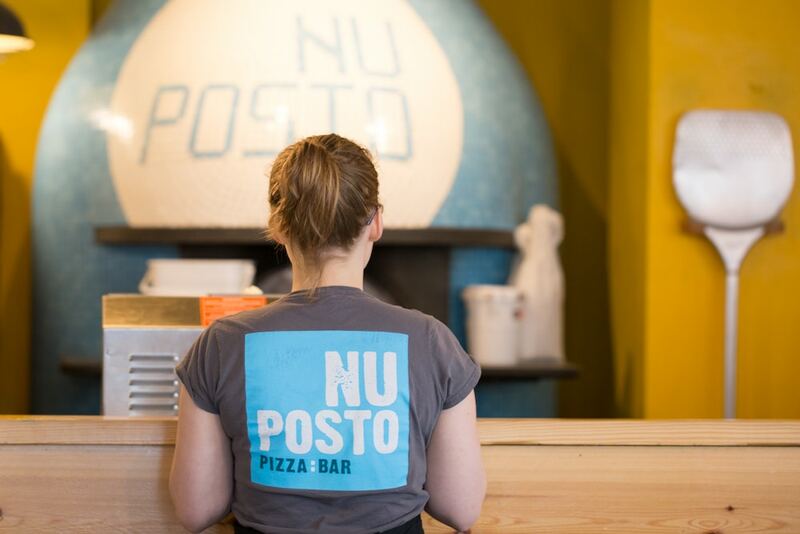 Proper Neapolitan pizza has been taking Brighton by storm this past few years, and no one does it better than Nu Posto. 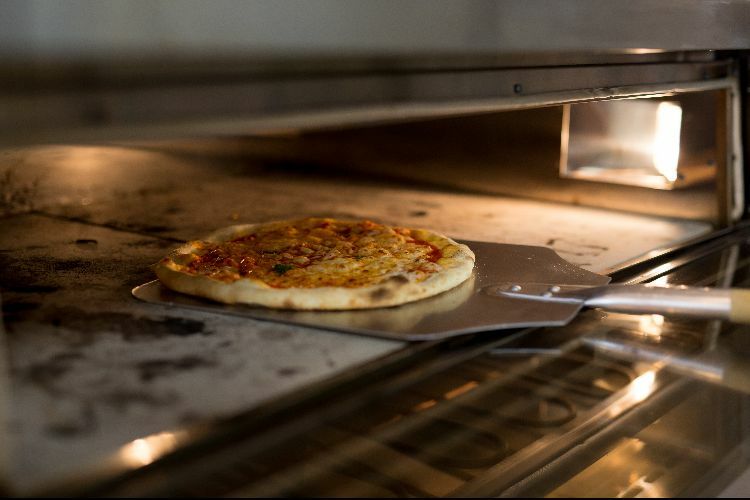 Situated at the seafront end of West Street, this authentic pizzeria has fast become a Brighton favourite for many. Not a pizza fan? No problem. Their handmade pasta dishes are not to be missed, with daily specials a particular highlight. Pizzas start at just £5.90 and pasta at £6.90 which is not to be sniffed at. Hot small plates and salads are also a great budget option. Nu Posto is a superb cheap eat option in central Brighton that delivers on flavour every time. You might not think of a fried chicken shop as being a luxury dining option, but that is because you have not tried Bok Shop. This is no ordinary chicken shop. Bok Shop have elevated the late night favourite to new heights. This is gourmet chicken that tastes as good as any restaurant offering, you can even book a table. 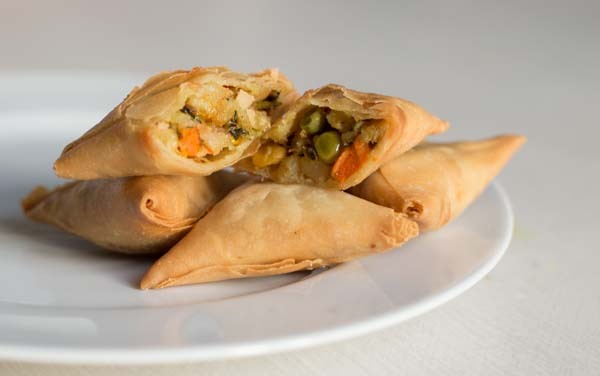 They have a full menu and all main dishes can be prepared as vegetarian and vegan alternatives. The Bok Shop is the perfect antidote to stuffy high-end dining, where taste is king and you always get value for money. 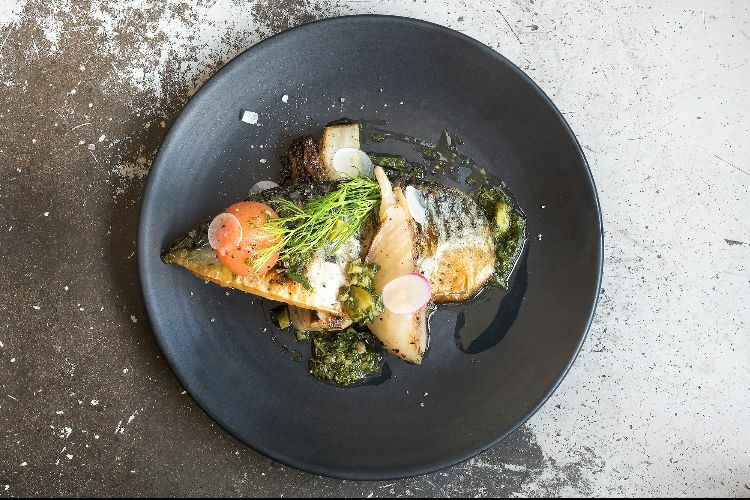 Boho bistro Kooks has been a mainstay of Brighton’s casual dining scene since opening in 2015. Their relaxed vibe and accessible menu were an instant hit, and anywhere that serves cocktails is great in our book. Serving brunch, lunch and dinner you can always rely on Kooks to deliver a quality meal at a reasonable price. Every dish is created from fresh ingredients on site, no processed or bought in rubbish here, but will not break the bank. Small plates start at just £4.95 with large mains going up to £13. 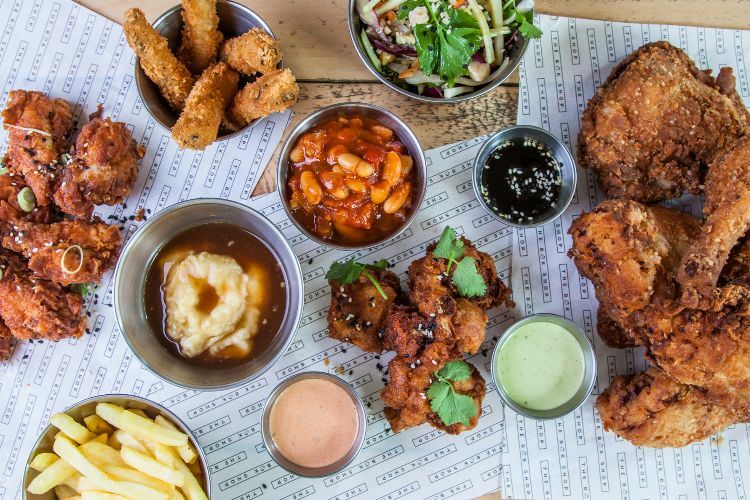 Kooks is a great cheap restaurant in Brighton, and you wont be scrimping on style. Tapas is often a great option when it comes to cheap eats, where you can share and eat as much or as little as you like. Taking the tapas style and placing it firmly in Argentina is the excellent Café Malbec. The only empanada house in the city, they celebrate the culture of South America via the medium of food and wine. 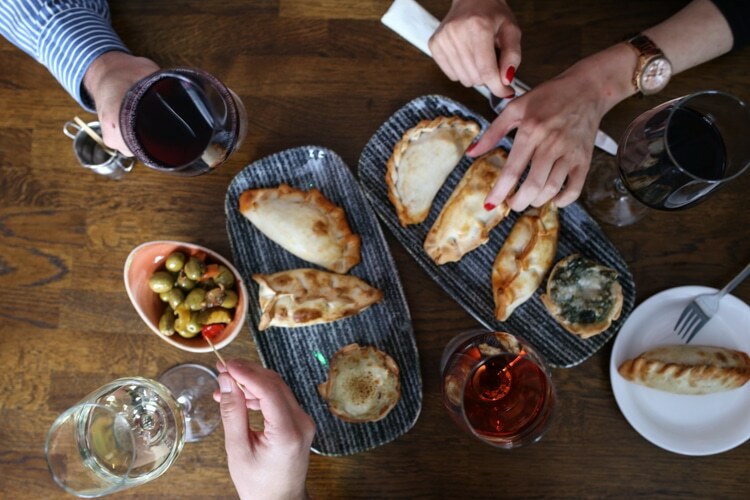 The superb homemade empanadas are joined on the menu by a selection of delightful tapas plates and sharing boards. Once matched with the stunning wines of Argentina and South America you are in for a treat. Café Malbec is a great budget option where you can indulge in a little luxury and a fantastic atmosphere. One of Brighton’s favourite cafés also doubles as a delicious dining spot that will not break the bank. They may not be open late, so are not an evening meal option, but their breakfast, brunch and lunch menu is packed with quality dishes that are priced honestly. The food is focussed on quality local sourcing with an ethical ethos. Moksha has evolved from a coffee shop to a food-led venue with restaurant standard cooking. One of the best dining secrets in the city, Moksha is a superb place to enjoy lunch with friends or family that is sure to be fresh and filling. If you are looking for somewhere a little different for your budget, then Tropical Sushi could be for you. This fusion of Latin and Japanese cuisine may sound a little odd, but we can confirm that it works with sensational results. The cacophony of fresh flavours is enough to excite any palette. 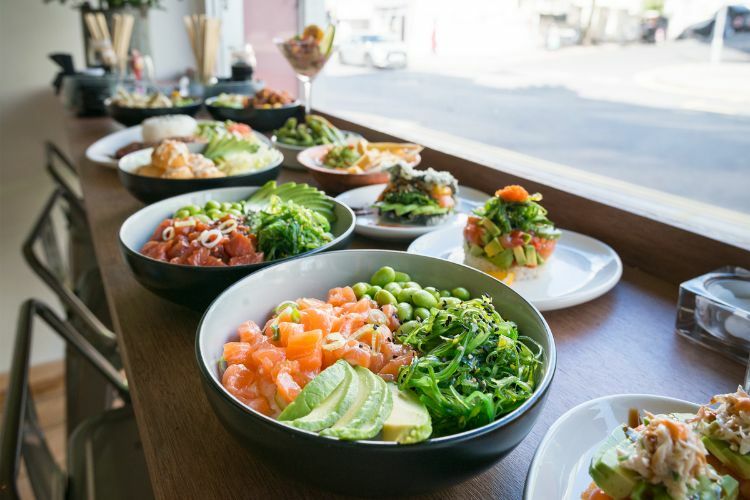 Think tropical fruits, sashimi and raw bites, Californian Maki rolls and more. The options are almost endless, meaning that no matter how many times you go it will feel like a new experience every time. This is some seriously fresh food that will not have an adverse effect on your bank balance. Bringing authentic pizza Romana to the seafront are the West Pier Pizzeria. Unlike the pillow-like crust of the Neapolitian style, Romana pizzas are thinner and crispier. West Pier double ferment their dough resulting in a dough that is easily digestible and very tasty. The all Italian team behind the menu have grown up with this style of food, learning from their grandmothers cooking and a passion for local produce. West Pier Pizzeria also have an extensive pasta menu and salads and small plates to enjoy. If you are seeking a cheap restaurant in Brighton with a view of the beach and i360, then West Pier Pizzeria is the place for you. Curry houses have long been the friend of those on a budget, but most of those do not deliver when it comes to quality. The Eastern Eye on London road is a restaurant that delivers on both. The extensive menu features many favourites but does not stop there. A visit to Eastern Eye is always a tasty time. Whether you are the sort of person who always orders the same dish, or a little more adventurous, what you will find at Eastern Eye is a quality curry at an honest price. In a city that takes its Indian cuisine very seriously, The Eastern Eye is a restaurant that can hold its own. Al Duomo is one of Brighton’s longest serving restaurants specialising in Italian cuisine from across the country. Think fantastic pizzas and pasta, meat dishes, salads and desserts to die for. The huge venue can seat 300 people, and they have plenty of space for events as well. The extensive menu features every Italian dish you could hope for, and best of all you can eat here with almost any budget. Most main meals and pizzas float around the £10 mark which is great value given that they only use the finest ingredients available, and import the key ones from Italy. 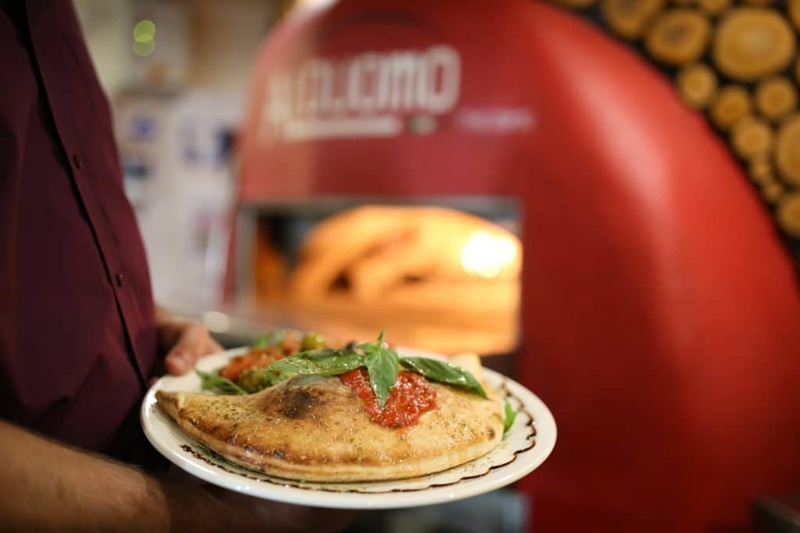 Al Duomo have been serving the people of Brighton for the past 30 years, and they keep coming back for more. One of Brighton’s leading lights is only one of its best value restaurants. 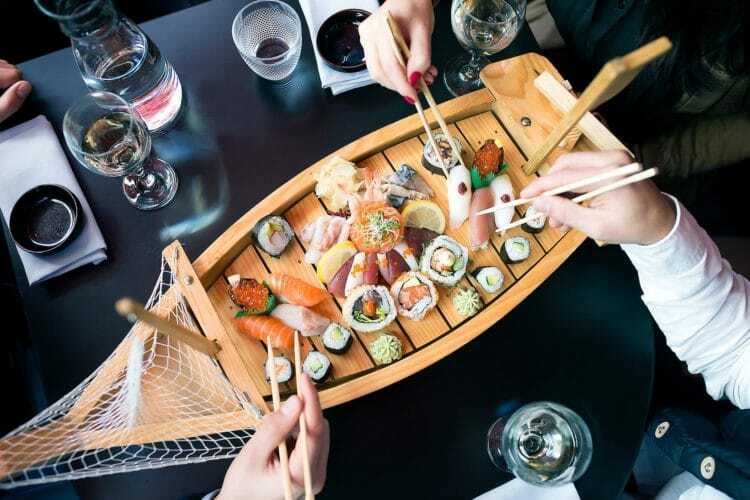 Moshimo is an architectural and culinary delight and provided you can resist the endless conveyor belt of dishes, it can also be very good value. The team have been championing sustainable fishing and they can also sustain you with some of the best Japanese cuisine in town. If you want to really enjoy a discounted meal, sign up for a Moshimo card and gain access to the best deals in town. Moshimo is a fantastic part of Brighton’s food scene and one that is accessible to all. Grabbing a bite to eat on the beach can often be a disappointing affair, but this does not have to be the case. 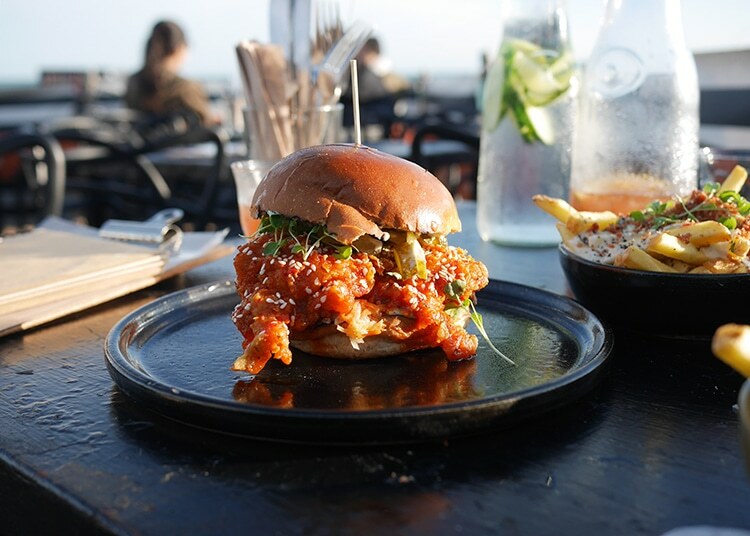 Brighton’s seafront is home to some of the best burgers in the country, and they are helping to save the world at the same time. Lucky Beach have changed the face of Seafront dining. 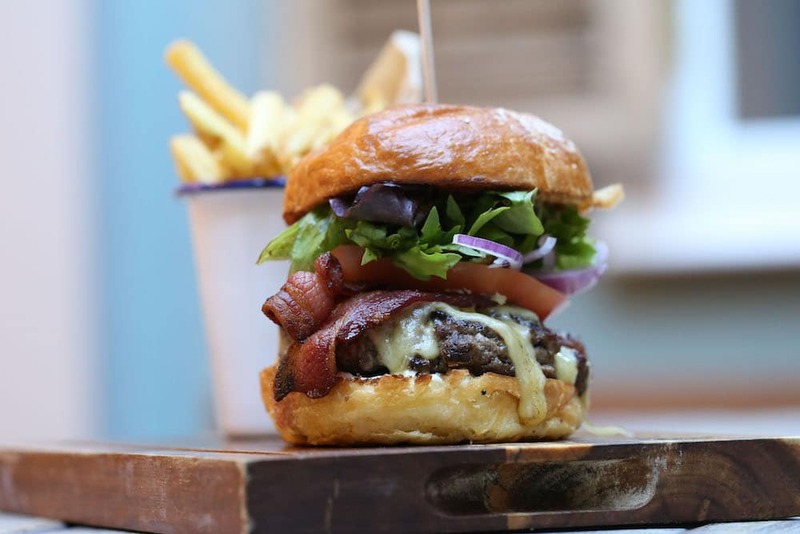 Moving away from the cheap fish and chips and offering ethically sourced burgers that have been gaining national attention. Not content with dominating the burger world, Lucky Beach also serve delicious brunches and that most important of meals the Sunday roast. Mange Tout are a local independent Bistro that champion local, ethical and seasonal produce with more than a splash of French flair and excellent wines. Sister restaurant to the ever-popular Plateau, you can expect the same level of excellence in a slightly more sedate setting. 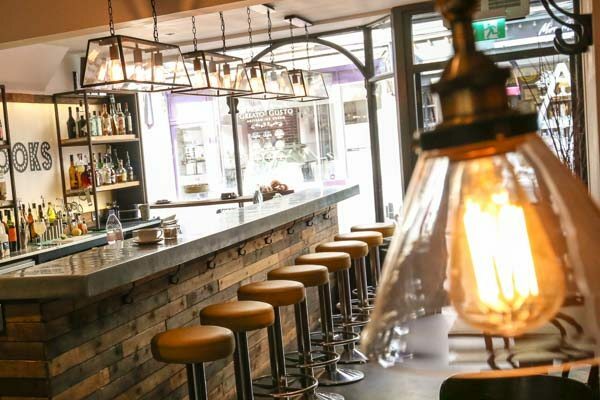 Brunch at Mange Tout is a Brighton must, and dinner is superb and not to be missed. Natural wines dominate the drinks menu, but there are plenty of other options available. Mange Tout ticks all the boxes for an independent bistro, and in keeping with these restaurants, means it will not break the bank. When Polpo first appeared in Brighton, the chain was greeted with much anticipation. The small plate Venetian dining had garnered much praise from national media. Providing such high-quality dishes at a reasonable price point is a rare thing, but a welcome one. As with all sharing style restaurants the key is to order only what you want, and don’t get carried away. This is easier said than done when confronted with such as delicious range of dishes. 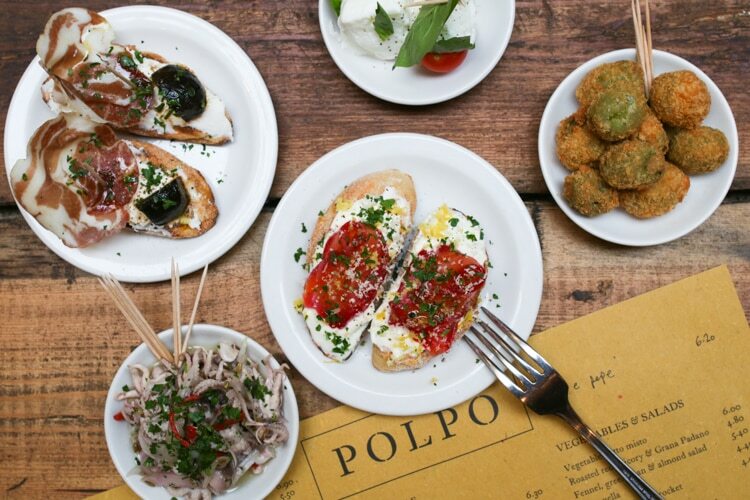 Polpo is a class act with great styling and atmosphere. Definitely somewhere you can get a lot of bang for your buck. 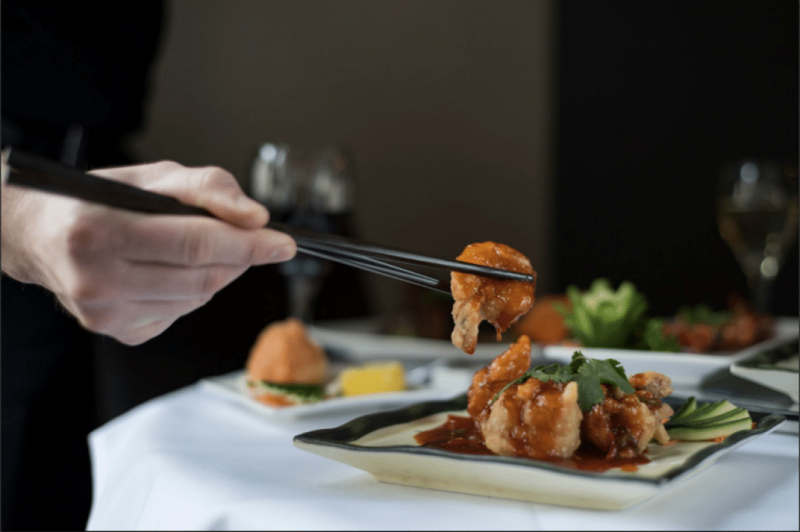 When it comes to Chinese cuisine and delicious Dim Sum there is only one place in Brighton that you need to consider. Gars is a real gem of a restaurant and one that offers superb value for money. The menu is massive, meaning that you might spend more time choosing than eating, although the set menu options provide a great meal at a great price. The Dim Sum are a joy to behold, and if you go for the special lunch offer you can eat like an emperor with the budget of a monk. We are big fans of Gars here and are sure you will be after one visit. Thai cuisine is another budget option which can either be fabulous or fall flat on its face. If you are more a fan of the former, and who isn’t, then you should pay Café Chilli in Hove a visit. The owners have taken traditional Thai dishes and perfected their execution, whilst also promoting modern Thai cuisine that they encounter on their travels. 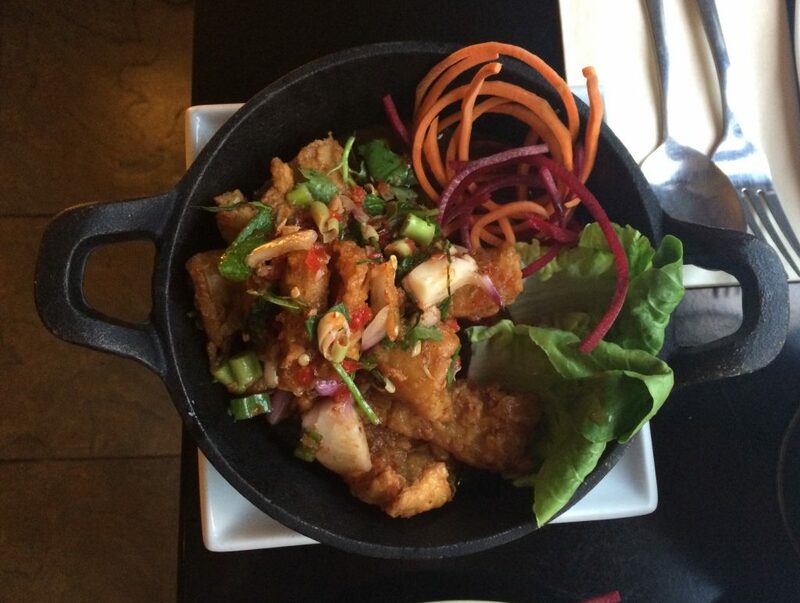 This marriage of traditional and contemporary Thai cuisine is what separate Café Chilli from the rest of the crowd. Lunch set menus and platters offer superb value, and the dinner menu is one of the most reasonably prices around. This family run restaurant is one of Hove’s hidden hot spots, serving great food made with knowledge and passion. We finish this list with the public’s number one cheap eat as voted in the 2017 BRAVO awards. 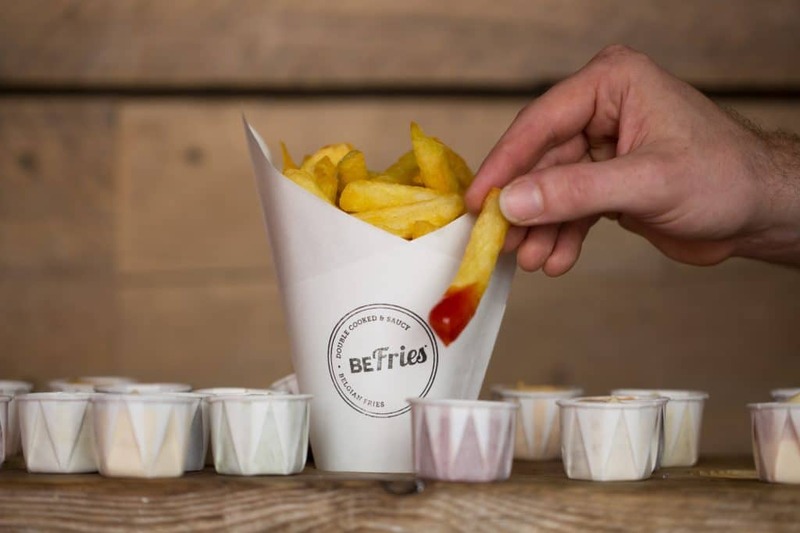 BeFries have changed the face of chips in the city, showing us that the Europeans really know their stuff. These are the best chips in town, twice cooked and fluffy, but it is the sauces that really finish the deal. BeFries have pretty much every sauce you can imagine, many of which are vegan as well. Nothing beats a cone of fries topped with truffle mayonnaise or their samurai sauce. BeFries are one of the best loved cheap restaurants in Brighton, and one that will always leave a smile on your face.